James Stewart, Clint Eastwood, **** O'Toole, Joan Crawford, Fred Astaire, Robert Mitchum, James Cagney, Elizabeth Taylor, Cary Grant, Jack Lemmon, Frank Sinatra, Greta Garbo, Gary Cooper, Charlton Heston, Katharine Hepburn, Steve McQueen, Gene Kelly, Marlene Dietrich, Gregory Peck, Humphrey Bogart, Judy Garland, Clark Gable, John Wayne, Myrna Loy, Kirk Douglas, Lana Turner, Bette Davis, Spencer Tracy, Paul Newman, Doris Day, William Holden. 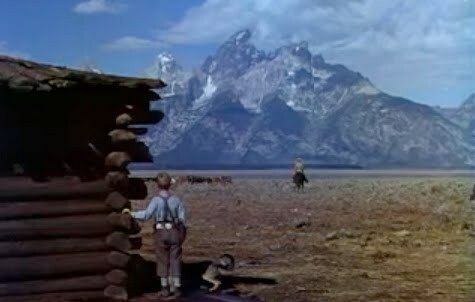 John Wayne, Barbara Stanwyck, Bob Hope, Debbie Reynolds, Sidney Poitier, Lucille Ball, Katharine Hepburn, Clint Eastwood, Ava Gardner, Henry Fonda, Jean Harlow, Laurence Olivier, Doris Day, Humphrey Bogart, Burt Lancaster, Elvis Presley, Elizabeth Taylor, Edward G. Robinson, Bette Davis, **** Sellers, James Stewart, Olivia de Havilland, Ginger Rogers, Charles Chaplin, Shirley MacLaine, Claudette Colbert, Cary Grant, Gary Cooper, Gregory Peck, Esther Williams, Kirk Douglas. Angela Lansbury, Groucho Marx, Susan Hayward, Gregory Peck, Humphrey Bogart, Doris Day, Burt Lancaster, Claire Trevor, Jane Powell, John Garfield, Katharine Hepburn, Rock Hudson, Walter Matthau, Lana Turner, Richard Dix, Joseph Cotten, Carole Lombard, Bela Lugosi, Audrey Hepburn, Lee Marvin, David Niven, Rita Hayworth,Van Johnson, Ann Sothern, James Stewart, Cary Grant, John Wayne, Hedy Lamarr, Ingrid Bergman, Sidney Poitier, Barbara Stanwyck. Elizabeth Taylor, **** O’'Toole, Joan Crawford, William Holden, James Stewart, Robert Mitchum, Jane Russell, Dana Andrews, Myrna Loy, Vincent Price, Doris Day, Alan Ladd, June Allyson, Ernest Borgnine, Joan Bennett, Elvis Presley, Maureen O?Hara, Spencer Tracy, Errol Flynn, Rosalind Russell, Gary Cooper, Ann Miller, Jane Fonda, Ronald Reagan, Broderick Crawford, Kirk Douglas, Loretta Young, Roy Rogers, Mary Astor, Buster Keaton, Sean Connery. Michael Caine, Charlie Chaplin, Gregory Peck, Marie Dressler, Claude Rains, Anne Bancroft, Greta Garbo, James Garner, Fred MacMurray, Doris Day, Richard Widmark, Kim Novak, **** Lorre, Greer Garson, Rita Hayworth, Fred Astaire, Gene Kelly, Jack Palance, Barbara Stanwyck, Edward G. Robinson, Ava Gardner, Trevor Howard, Stan Laurel & Oliver Hardy, Henry Fonda, Ingrid Bergman, Janet Leigh, Tony Curtis, Charlton Heston, Marlon Brando, Katharine Hepburn, Spencer Tracy. Henry Fonda, James Mason, Marion Davies, James Coburn, Harold Lloyd, Judy Garland, Glenn Ford, Bette Davis, Cary Grant, Dirk Bogarde, Audrey Hepburn, Clark Gable, Gloria Grahame, Sidney Poitier, Deborah Kerr, Elvis Presley, Jennifer Jones, John Wayne, Red Skelton, Miriam Hopkins, Gene Hackman, Sterling Hayden, Angela Lansbury, Fredric March, Merle Oberon, Yul Brynner, Ida Lupino, Frank Sinatra, **** Sellers, Jean Arthur, Claire Bloom. Great list! I think Ernest Borgnine has already been chosen for a spot this year, as Marty is showing as an Essential one Sunday in August. Well, "Lifeboat" should be easy enough since there were only a few people drifting in the ocean. I would bet on William Bendix, Walter Slezak or Hume Cronyn. Maybe Canada Lee as a long shot, although his film credits are limited. The others: Tallulah Bankhead, John Hodiak, Henry Hull, Mary Anderson and Heather Angel. I hope it's Bendix because I'd like to see "The Babe Ruth Story" again, as well as a war movie or two in which he plays the guy from Brooklyn or a guy named Aloysius. He was awfully good in a couple of Robert Mitchum movies, too -- "The Big Steal" and "Macao." My hunch for "How Green Was My Valley" is Maureen O'Hara, who was at the recent TCM Classic Film Festival. This just may be the year she receives an honorary Academy Award, too. "To Be Or Not To Be" is either Jack Benny, Carole Lombard or Robert Stack. I wouldn't mind any of them as a Star of the Day. "The Maltese Falcon" is either going to be Humphrey Bogart, Peter Lorre, Sydney Greenstreet, Ward Bond or Gladys George. I'm eliminating Mary Astor because she was TCM's Star of the Month for March and they showed something like 55 of her films. "Shane" is either Alan Ladd, Jean Arthur, Jack Palance or Brandon de Wilde. My choice would be Ladd. I think that How Green Was My Valley points to one of three people: Walter Pidgeon, Roddy McDowell, or Donald Crisp, as Maureen O'Hara is the SOTM for July. Thanks! Apparently, I'm a month behind on my Star of the Month notices! Maybe we should add Barry Fitzgerald now. Indeed. And the correct answer is Walter Pidgeon. Thanks for the information, BartonKeyes. I see that the August schedule is avaiable except for August 1. August 22 is Audrey Hepburn's day and I am happy to see that ROMAN HOLIDAY is scheduled to air at 8 PM Eastern. August 1 is Jane Fonda, and August 2 is not Peter Sellers as previously reported. It is David Niven. Good news about Jane Fonda on August 1 and also good news (to me) that there is no full day of Peter Sellers movies (my apologies to Peter Sellers fans amd I know he has many). TopBilled, how were you able to bring up the August 1 schedule? I searched the schedule by week. It comes up that way. I never realized we could search by week. Thanks! I'm glad that Jean-Luc Godard's TOUT VA BIEN is scheduled on Jane Fonda's day. I wish TCM was also airing BARBARELLA. I've been wanting to see that movie for a while. I think it's interesting that both Fonda and Dunaway are being honored. They are the top female stars of their generation. I created a separate thread in this forum with details about the 2014 schedule. Lovely. Once again, no Mastroianni. Sure, if you can stand to stay up all night long, you can watch the SOS YT&T, or watch him be a headless ghost at 4 am. Thanks, but no thanks. Another slap in the face for Robert Taylor. His birthday is Barbara Stanwyck Day. However, what I am excited about are the Alan Ladd/Veronica Lake movies that have been scheduled. I've never seen any of their collaborations and have never seen a Veronica Lake movie; but know quite a bit about her. I also love film noir; so I feel like I'm going to be in for a treat with those films. Anyone know if they will air Walk On The Wild Side for either Fonda or Stanwyk's days? It is on Jane Fonda's day at 9:45 AM Eastern Time. Thanks for the info, but Walk on the Wild Side isn't the kind of movie I want to watch to kick off my day! I'm excited about the Alan Ladd day. I'm most excited about SHANE airing that day as one of the Essentials Jr. I still want Brandon deWilde to have a day or at least one of those half-day tributes that stars are often given. Disgusted. No Mastroianni, as I said before. And again no tribute on his birthday, either. They just HAD a day for Judy Garland's birthday and she's been on this roster more than once. So has Sophia Loren. And they just showed LaNotte the other week. So we get to see Marcello if we're awake in the middle of the night....Pfft. STOP THE REPETITION, PLEASE. It's like they need a stim or something. Show the new, younger TCM fans VARIETY. I agree that Judy Garland should not be included. They show her films all year round, every year. Plus she's been featured in these tributes before. There are plenty of other stars who should be given much-needed attention. I've been looking over the schedule, and it seems to me that there is a lot less variety than in the regular month. I don't think one day each for a silent and foreign star makes up for the loss of weekly Silent Sunday and TCM Imports, even though they overcompensate by filling the day almost entirely with the silent or foreign movies by that particular person. Clumping them all together on only one day, by only one person probably upsets more than it satisfies. People who don't like such movies will be excluded from the whole day, people who do like them will only have that day to catch them. There are a lot of people that made silent or foreign movies in addition to Hollywood sound films. Why aren't there more of them? I mean, besides Jeanne Moreau, there's Sophia Loren with a few foreign films, but are there any more? Only Chaplin has silents on his day, and that doesn't give a whole lot of variety. Personally, I think there should at least four days each that have silent or foreign films shown, but not for the entire day. ALSO there seems to be almost nothing at all that makes up for the loss of TCM Underground. I demand compensation! Well, not really... but, really? Right-- this whole Summer Under the Stars is a big marketing gimmick-- and it fails on many levels, because as you so wisely pointed out, there is a lack of variety and there are virtually no premieres in a month of this type.